Nirvana Foods & Commerce International Co., Ltd was founded in 2003 with the mission to provide the best tasting beverages using Thailand’s resources. Implementing GMP and HACCP practices when we first opened our doors, we have been recognized and hold certificates from Moody international. With over 25 years of experience producing milk tea and coffee beverages in the United States. 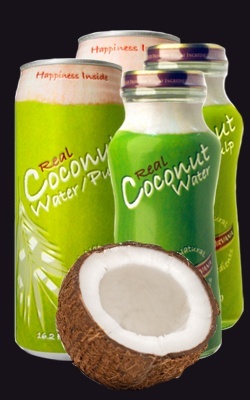 We have knowledge in producing ready to drink coffee, teas, coconut water, functional health drinks, and energy drinks. We currently produce all these drink items under the brand: TASTE NIRVANA. Nirvana Foods seeks to provide the most authentic and real food experiences in which the country of origins intended. We strive to educate our customers on history and culture of the food that we make. We seek real and honest relationships with our customers, employees and suppliers which benefit and educate everyone. No Pulp - 9.5 fl oz. With Pulp - 9.5 fl oz. No Pulp - 16.2 fl oz. With Pulp - 16.2 fl oz.